Vampires may turn to dust when killed, but one thing remains behind--their fangs. Huh, I wonder why the fangs remain? The bones don't so why the teeth? 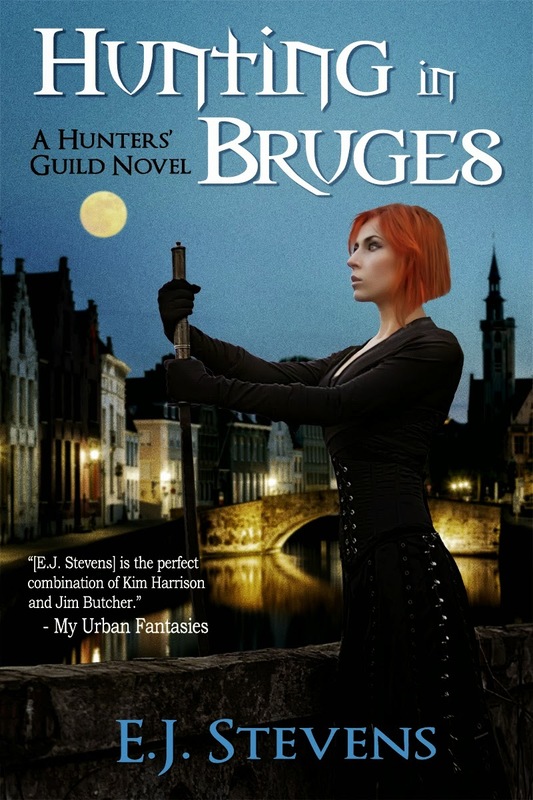 Sounds interesting, especially since I've been to Bruges. I'd read this book just to revisit that delightful city. Chilling. I wonder if she collects them? I am hoping to start this one soon. Everything about it called my name! Have a lovely weekend Freda and I look forward to visiting everyones posts when I get home from work! Love that comment. This is the first time I have seen this series. Wonder if it is new? This is the 1st in a new series, but it also ties into her last series, the Ivy Granger books. I like the caricature type cover and am curious why the teeth are left behind. Trophies, perhaps? Oh boy, scary vampire stories... Halloween is a-coming! Vampires are perfect for October. Fangs being left behind? I'm seeing a character who likes to hold on to them as souvenirs. This would have made a good book for the FrightFall Read A Thon. Sounds good! I've been wanting to read more paranormal lately and this one looks fun! This one sounds great! I really love paranormal reads during October time. The fangs are left behind? Sounds like a good Halloween read.